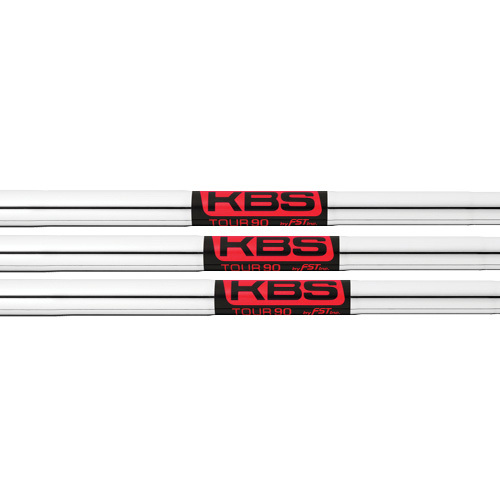 Our lightweight entry, the KBS TOUR 90 shaft is purposed for players with average swing speeds desiring a higher trajectory and maximum distance. Featuring signature KBS technology, the KBS TOUR 90 shaft maximizes energy transfer within a 20% lighter weight construction leading to faster swing and ball speeds. 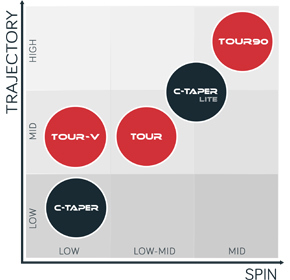 Combined with a higher CG and low kick point, the KBS TOUR 90 shaft optimizes flight and spin -- proven to average 9% more distance versus leading competitors. Available in two-flexes and weight ranging from 95g to 102g -- the KBS TOUR 90 targets slow to moderate swing speeds interested in maximizing club performance. 40" 39.5" 39" 38.5" 38" 37.5" 37" 36.5"